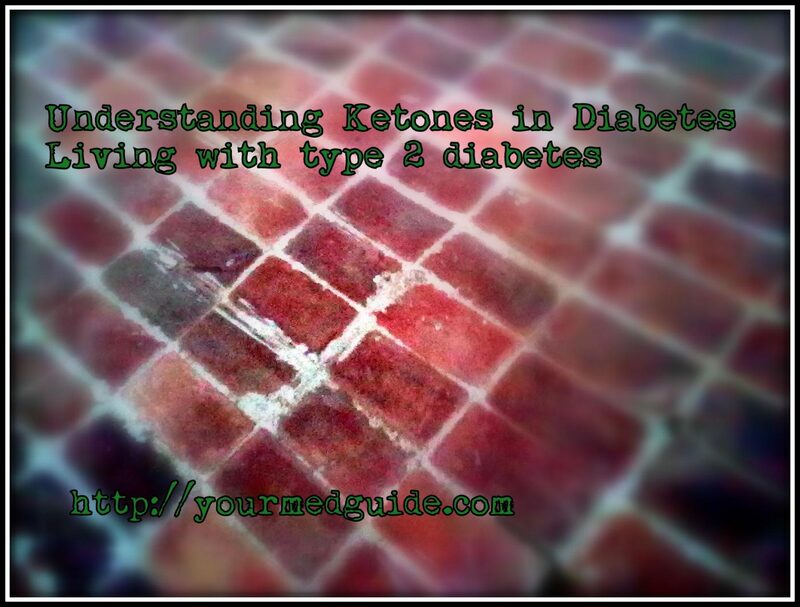 Ketones in diabetes, both type 1 and 2 can lead to a medical emergency. That is why it is important to be aware about what they are. Ketones occur in the blood when the body starts to burn its own fat. High levels of ketones in the blood is a major complication of diabetes and if not treated on time, leads to a condition called ketoacidosis. Ketones in diabetes build up when the insulin is inadequate to fuel the body’s cells. When the body does not have enough insulin, it cannot get glucose from the blood into the body’s cells to use as energy. Instead, it starts to burn fat. 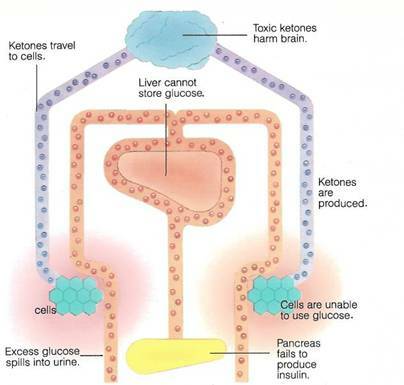 The insufficient insulin makes the fat cells release fat continuously into the blood while the liver keeps making more and more ketones and ketoacids. The rising level of ketoacids in the blood lower the blood pH so low that it becomes an emergency medical situation that needs urgent attention. In people who are not diabetic, the body adapts to starvation by producing ketones. Blood sugar levels being more or less stable, the production of ketones is controlled by a good balance of insulin, glucagon and other hormones. But in those who do have diabetes, dangerous and life-threatening levels of ketones can develop. While ketoacidosis is more common in type 1 diabetes, it can also happen to someone with type 2 diabetes when there is increased insulin resistance. This resistance can be caused by infection or treatment with steroids or reduction in insulin release from the pancreas. Usually, those with type 2 diabetes are considered less likely to suffer from high ketone levels as they usually produce enough insulin. But if you suffer from advanced type 2 diabetes, insulin production may be insufficient, raising the risk for high levels of ketones. It is important to learn what the symptoms are and when you need to take a test. If there are ketones in the urine, it is an indication that your diabetes management must be adjusted. Ketone testing is generally advised for pregnant women who are diabetic and those with gestational diabetes. So, what should you do if you find ketones in your tests? under 0.6 mmol/L – no need to worry and no action required. above 0.6 mmol/L – test again within an hour to see if the ketone level is rising. above 1.5 mmol/L – consult your doctor immediately. Drink water every hour, and continue testing every three hours. If the test shows moderate or high ketone numbers talk to your doctor at once, and drink water. Is it possible to recognize diabetic ketoacidosis? If you suspect diabetic ketoacidosis, contact your doctor right away to avoid making the situation worse. Can you prevent the buildup of ketones in diabetes? Eat healthy, eat on time. Don’t skip meals. If you do, especially the carbohydrate based meals, your body takes it as a sign to start producing ketones. A well-balanced diet that has the right amount of starchy or complex carbs can help prevent the production of ketones. This goes without saying – but it is important to remember to stick to the treatment plan you are on. This may be taking your insulin on time as prescribed, oral medication. When blood glucose is not properly controlled, it encourages the production of ketones. Ensure that you monitor your blood sugar and if it fluctuates outside your target levels, talk to your doctor. Along with getting enough carbs for your energy, exercise regularly. If you don’t have enough carbs and tend to exercise sporadically, it will result in the breaking down of fat and the production of ketones. Take extra care of yourself when you fall sick. To make sure you get enough carbs, include milk, fruit juice and glucose drinks in your diet. Illness can interfere with your diabetes treatment, so it is important to monitor that blood glucose and let your doctor know about any changes. In case you have high blood sugar and start vomiting and pass a lot of urine, feel clod and breathless, see your doctor right away as this can be signs of DKA. Ketone monitoring is particularly important those with type 1 diabetes, women with type 1 or type 2 diabetes when they become pregnant, women with gestational diabetes, type 2 diabetics who are on medication or taking insulin. Thank you for another insightful health post, Vidya.